Do you own a Keurig Machine? We just bought one. Man, they are a lot of work for just a cup of coffee! I’m usually not turned on by new technology. I have a cell phone, but I don’t even like carrying it around because no one ever calls me. And who knew that brewing a cup of coffee could be so complicated! I never feel the need to ditch what I have and run out and buy the next best thing. It’s a cup of coffee…all I need is a coffee maker, filters, and coffee. And in desperation, paper towels make decent filters. But with Keurig, it’s a lot of work. First, you have to decide what kind of machine you want. Don’t get the Vue! We purchased it first and it’s a total flop. That’s the dead Vue machine on the right sitting on the stove. There’s adapters and filters and then all the flavors. And you can’t buy just one. Oh, and then you have to get a K cup holder to put all your little cups in! Don’t believe me? 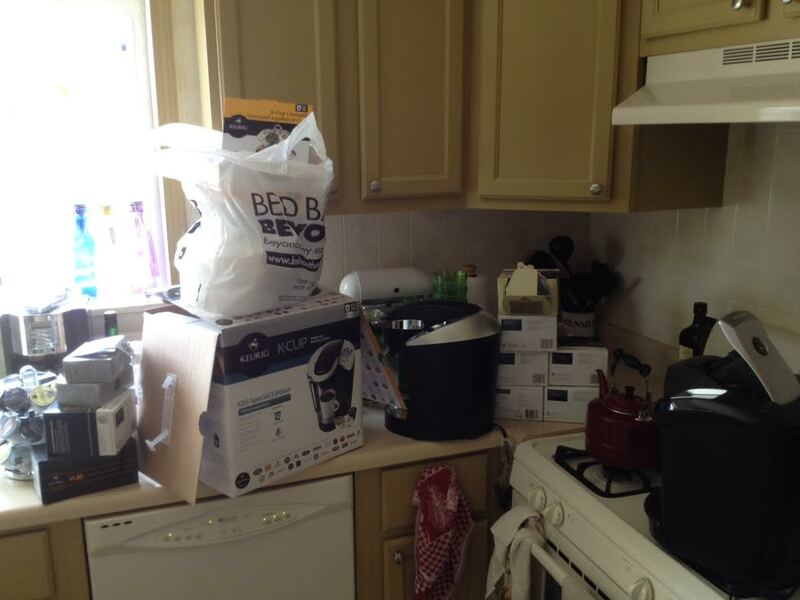 The picture above is what our kitchen counter looked like after we bought a new machine, new flavors of K Cups, and a K Cup spinner track. Still don’t believe it’s that complicated? Check out the picture below. 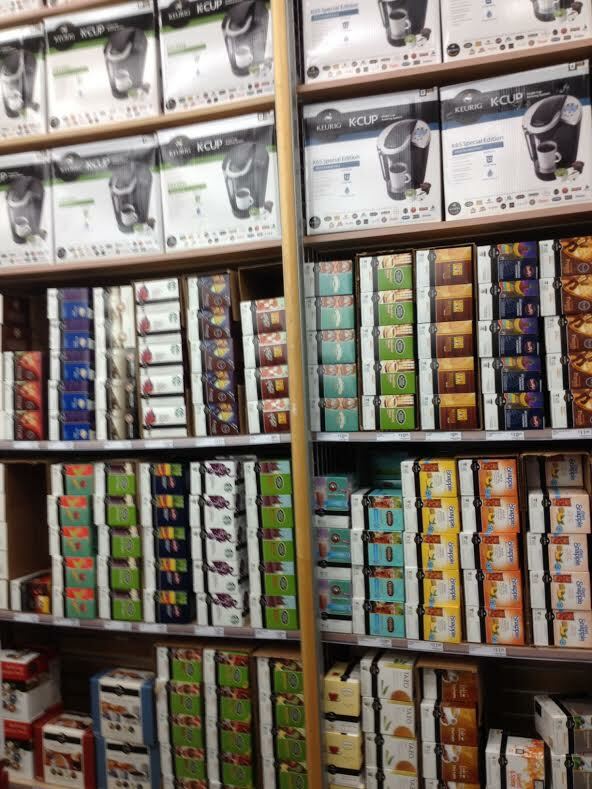 That’s just one section of an entire wall at Bed, Bath, and Beyond of machines and flavor cups to choose from!